Creature Fishing Lure by Garneau Baits. Hey bass don't let the bed bugs bite. 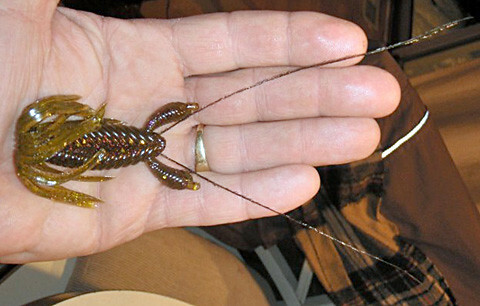 The Bed Bug fishing lure is the hot seller North and South. It's hand poured. The skirt is hand melted onto the fishing lure and the feathers are hand laid into each mold before we pour the fishing lure. We recommend using a Mega Strike Shak-E2 Jig Head to rig it.